Rippingale and Folkingham FC enjoyed a good season in the Grantham Sunday League. In only their first season together in the senior men’s game, with six of the team coming up from under-18 football last season, they impressed to finish third in Division One. 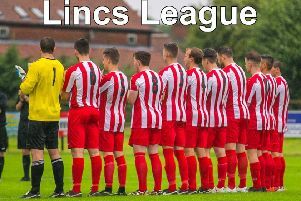 They also reached the final of the Division Cup Final last weekend, in which they were unfortunately defeated 5-3 by Helpringham Rovers. Pictured from left, back – Chris Binns, James Ferrow, Tom Edwards, Gokhan Kizmaz, Callum Fawcett, Toby Dean, Ollie OBrien, Ewan O’Connell, Kai Willerton and manager Andy O’Connell; front – James Sinclair, Jake Dilley, Johnathon Woodcock, Conor Durrant, Ed Harte, Lee Kane and Jamie Snape.